Robert Shifko has more than 17 years' experience in the health care industry. Throughout his career, he has gained experience in pharmacologic research, clinical nuclear medicine, and most recently radiation health physics. He has obtained several certifications in nuclear medicine, epidemiology, biostatistics and as a medical radiation safety officer. He has always supported LIVESTRONG. Sports hernia, sometimes referred to as Gilmore's groin, is a common injury that primarily occurs in collegiate- and professional-level athletes. Sports hernia, unlike the traditional inguinal hernia, does not create a hole in the abdominal wall. Sports hernia is defined as a tear to the oblique abdominal muscles which does not produce a visible and palpable lump under the skin. Because of this particular characteristic, sports hernia is very difficult to diagnose. Some early warning signs of sports hernia are a dull, aching pain in the lower abdomen. Some other symptoms may include pain in the groin area and testicular pain in males. The only manner in which to resolve a sports hernia is to have it surgically repaired. However, several treatments can reduce the symptoms of sports hernia and keep a player active until surgical intervention is performed. Ice therapy may be used if symptoms of sports hernia are occurring. This treatment may reduce any swelling that may be produced by the injury and possibly reduce the pain. Ice should be applied to the affected region for approximately 10 to 15 minutes every 4 hours throughout the day. Compression shorts, or "warm pants," may be an option for an individual hoping to delay surgical intervention. 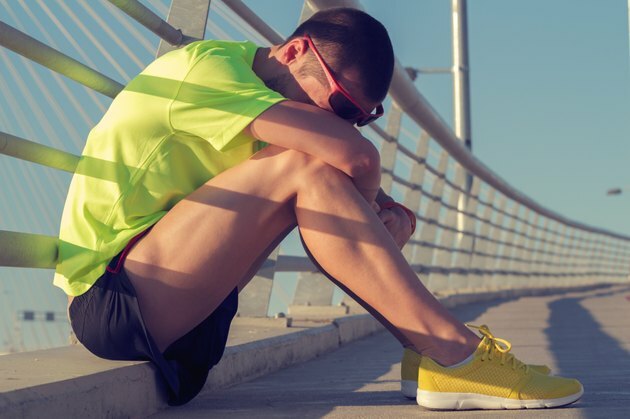 Compression shorts will not reduce the symptoms of sports hernia but may prevent the tear from worsening until surgical intervention in performed. Anti-inflammatory medications, such as ibuprofen, are a short term treatment for sports hernia. Anti-inflammatory medications will not heal a sports hernia, but they may reduce the swelling associated with the injury, which will also reduce the pain. Rest is one of the most recommended treatments for sports hernia. Allowing the affected muscles to rest will greatly improve the healing process. The duration of inactivity is based on severity of the injury. Rest periods could be as little as a week or as long as several months. According to Atlanta surgeon Dr. Jeffery S. Hoadley, the majority of patients with sports hernia respond well to physical therapy if properly diagnosed. The physical therapy regimen to promote healing of sports hernia focuses on stretching the lower abdominal muscles, lower extremity muscles and tendons. In addition, strengthening of the core muscles can correct the unbalanced muscle strength between the legs and the core muscles. This is important because sports hernias often are is due to this imbalance between these muscles. Surgical intervention is required to repair sports hernia if all other treatment options fail. In recent years, many advancements have been made in the procedure to repair sports hernia. Sports hernia surgeries can now be done laparascopically, which can drastically decrease post-surgical inactive period. Previously, sports hernia was corrected with an open surgery and recovery times were much longer.